Everyone loves a home-cooked meal shared with friends and family. Much of Louisiana’s cuisine, an integral part of our culture, revolves around bringing people together: a cochon de lait that takes hours to prepare and becomes an event in itself; crawfish boils that are always better when more people are involved; a courir de Mardi Gras gumbo comprised of ingredients contributed by a whole neighborhood; and of course traditional red beans and rice Mondays that bring people together whether at home, at a restaurant, or at a local bar. 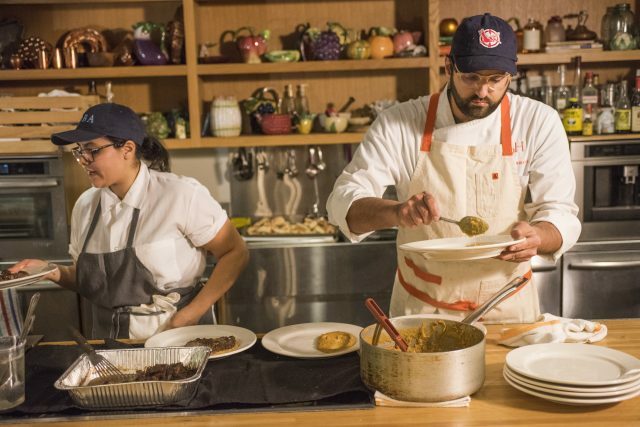 Chef Alon Shaya – one of New Orleans’ most decorated chefs – is no stranger to large-scale red beans and rice prep. For years, he and his wife Emily have been hosting Monday night gatherings at their home, where they serve red beans and rice to friends and family. Camellia recently invited Chef Shaya to create and serve a three-course meal featuring three beans of his choosing, a challenge he accepted. 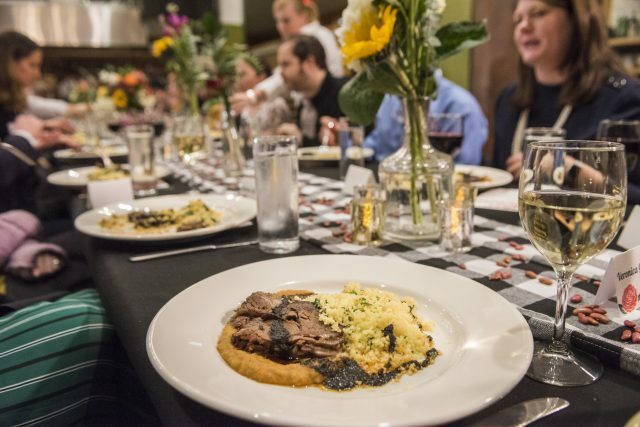 A group of local culinary luminaries and other friends were invited to the Rouses Culinary Innovation Center at the Southern Food and Beverage Museum for the dinner. 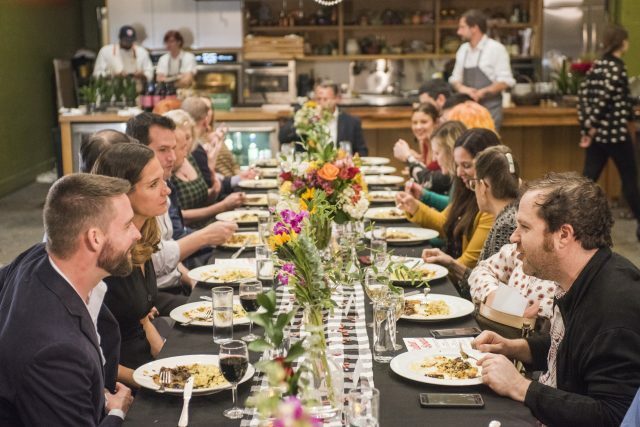 The guests gathered around a long, communal table adorned with a red checkered tablecloth, fresh flowers, and a sprinkling of dried red beans. There was plenty of bean talk as the evening commenced, and the museum setting sparked conversation about local foods and traditions. 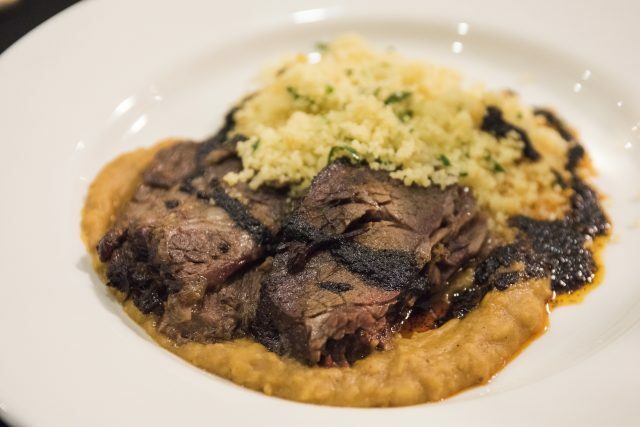 The second course featured short ribs, couscous, and our yellow split peas, cooked with Ethiopian flavors. 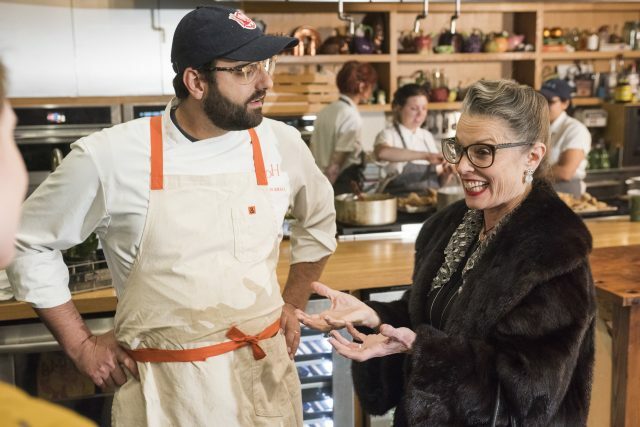 Shaya “wanted to serve a hearty, slow-cooked short rib as the main course.” Growing up, his mom would stew down lentils to serve with beef or chicken, so he chose the yellow split peas to add an earthy, middle eastern flavor profile to complement the meat. The final dish, probably the most surprising, was a crowder pea cobbler. Who knew beans could star in dessert? 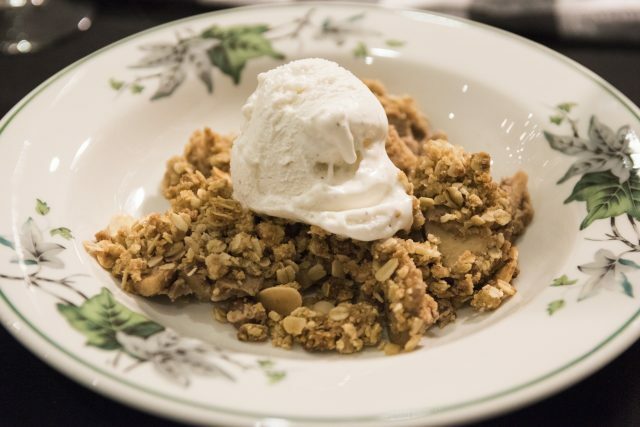 Shaya says “I’ve always loved red bean ice cream that I’ve gotten at Japanese restaurants, so I thought that this couldn’t be too crazy an idea.” The peas absorbed the sweet flavors, and the texture fit in perfectly with the cobbler. Each of these recipes is available in our Recipe Archive. Try them at home, and then experiment with other recipes using different bean varieties. Cooking red beans and rice is a beloved culinary tradition, but a home cooked meal with other bean varieties can be just as warm and welcoming. The “bean-portunities” are endless. 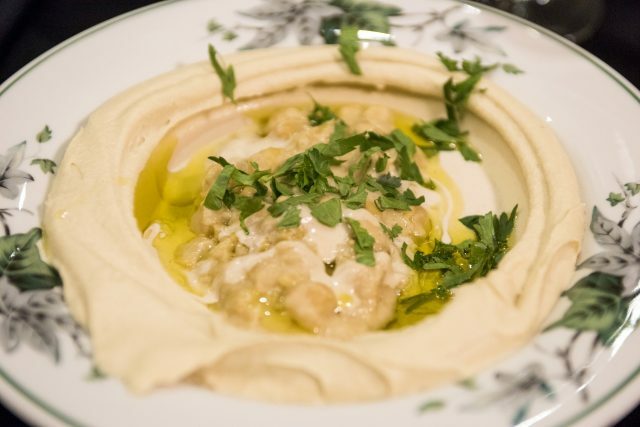 Chef Shaya’s favorite, other than the red bean, is the blackeye pea. “There is always a special reason to cook them, whether it’s for New Years day or Rosh Hashanah dinner. They always bring good luck!” Be daring, and tell us how you use our beans to bring people together!